At CARSTAR, we offer comprehensive auto body repair services, from repairing minor dents and dings to restoring your entire vehicle to pre-accident condition. Whether you've had an accident, been through a storm or just want to freshen up your vehicle’s appearance, we are here to help get you back on the road! Our auto body repair services include: the latest collision repair technology, expert technicians with advanced training, as well as dedicated customer service for your peace of mind. Whenever you need auto body repair, CARSTAR stores are here to help. Just call us toll-free at 1-800-CARSTAR. We offer helpful assistance 24 hours a day, seven days a week, and will walk you through every step of the process. 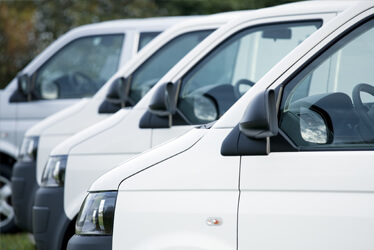 Keep your fleet vehicles safe and well maintained to make them more productive and to increase their resale value. CARSTAR stores can handle any size fleet from pizza delivery vehicles to the power company’s service fleet. Our promise is that we will keep your cost low and your repair quality high. CARSTAR stores pride themselves on expertly trained and knowledgeable staff. What to Do in Case of an Accident What to Do in Case of an Accident? First, stay calm. If there are injuries, call 911 immediately. Do not move your vehicle, unless you are in immediate danger and it would be safer to get your vehicle in a different location. You should get the name of the person (s) driving the other vehicle (s) involved along with their phone number, driver's license, vehicle license and insurance information. Try to obtain any witness' name and phone number (s). Note the location, time and date. Use your camera phone to take pictures of the scene, vehicle damage and witnesses. Your Consumer Rights Your Consumer Rights When you have an accident, you have the right to determine where you want your vehicle towed and where you to choose to have your vehicle repaired. A high-quality collision repair shop will arrange towing for you, perform high-quality repairs and work with your insurance company. 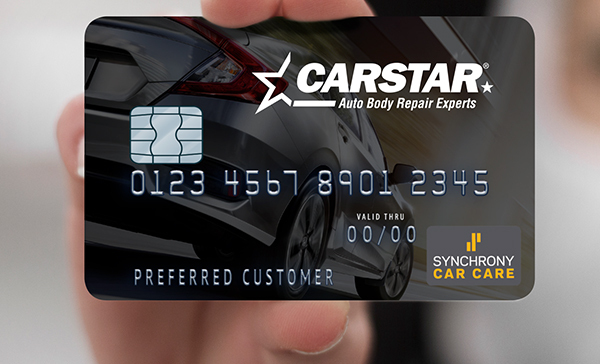 CARSTAR stores may offer a limited five-year nationwide warranty as an added benefit. How to Choose a Body Shop How to Choose a Body Shop You should choose a body shop that provides a complete written estimate, follows a structured repair process for every vehicle and features trained, certified repair experts. A national affiliation usually reflects higher quality repair standards, as does a nationwide warranty. Look for a body shop that uses the highest-quality parts and products to restore your vehicle, who will keep you informed throughout the repair process, provides excellent customer service, delivers your vehicle on time, and conducts a thorough inspection of all repairs before putting you back on the road. About the Repair Process About the Repair Process The repair process begins with you bringing your vehicle in for an estimate with a trained estimator. If you choose that shop, they will work with your insurance agent to process the repair claim. A quality shop will conduct a thorough disassembly of all damaged areas of the vehicle to determine any structural or mechanical damage. They will order the needed parts for your vehicle and then complete the repair. Once the repair is complete, they will conduct a detailed inspection of the interior and exterior of your vehicle to ensure a quality repair. Understanding Your Estimat Understanding Your Estimate Your estimate should include a thorough inspection of the work to be done on your vehicle, a description of the repair parts to be used, what items your insurance will and will not cover and the expected amount of the repair. One of the reasons estimates may differ from another shop is thoroughness of the appraisal process. 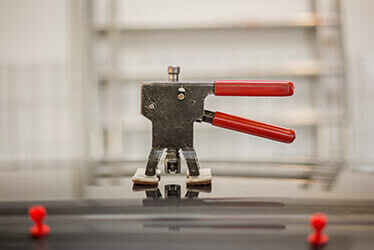 Some estimates may leave necessary repairs out of the initial estimate, causing the amount to be different from another facility. At CARSTAR we are thorough to identify the steps necessary for a quality and safe repair for your vehicle. Information about Your Deductible Information about Your Deductible If your insured vehicle sustains physical damage as a result of a collision with another car or fixed object or your vehicle sustains damage related to some type of covered comprehensive peril (fire, theft, malicious mischief, vandalism, windstorm, hail, etc) your auto policy declaration pages will indicate the applicable deductible. It’s always important to double check the accuracy of your policy information with your insurance company before and after a loss. Your deductible is due when you pick up the vehicle after repairs are complete. Look for a body shop that offers financing for deductibles if you don't want to pay this out of pocket. What Constitutes a Quality Repair What Constitutes a Quality Repair A quality repair begins with a comprehensive inspection to fully assess the damage and repairs needed to the vehicle. A structured repair process should be used to ensure the repair meets the vehicle manufacturer’s standards. A thorough repair should be performed by experts with I-CAR and ASA certifications, and training in the latest vehicle materials and technology and uses the highest quality parts and products should be used to restore your vehicle to pre-accident condition. Before the vehicle is returned to you, a thorough interior and exterior inspection, a test drive and a complete detail should be completed to ensure the repair meets your standards. Warranty Information Warranty Information Read the fine print to understand if their warranty is available nationwide and how long your vehicle will be covered. If your vehicle is still under a manufacturer’s warranty, it doesn't mean it has to be repaired at a dealership. Most dealerships do not have their own collision repair facility and outsource their vehicles for repairs. Your vehicle's warranty is with your vehicle's manufacturer, not with the dealership. When choosing a collision repair facility, look for a body shop that offers a nationwide warranty that will be honored at any of their locations. What to Do in Case of Storm Damage What to Do in Case of Storm Damage If your vehicle has been in a storm, call your insurance agent first to report the damage. Take photos of the car where it was damaged, including any branches, water damage, mud or other elements. If you car has been submerged in water, do not drive it as mechanical and electrical elements may have been damaged. Trust your vehicle only to an established body shop business operating in the area prior to the storm. Car Care Tips Car Care Tips After your vehicle has been repaired, there are some car care tips to follow to keep your vehicle looking its best outside and in. For a quick handy list that is ready to print, click here.